Your bags are packed and you’re ready to embrace that international family trip… but your child is no longer an infant and a whole new world of challenges await. She’s walking, talking, and ready to go, go, go. Does that mean your vacation has to be memorable for all the wrong reasons? Athena, now 15 months old, and I travel alone regularly. We’ve already flown internationally more than a handful of times, managed over-night delays and lost luggage, and still view travel as a wonderful adventure for the whole family. Check out our 10 tips for traveling with a toddler and make your travel feel like an actual vacation! Number 10 – Is it Christmas? Bring lots of toys! When you pack for a flight, be sure to include lots of toys, both old and new. Bring plenty of toys, books, and activities that you know your child likes and something special to engage her on the plane. Number 9 – Are you preparing for a marathon? Burn off that energy before your child gets on the plane. At the airport, let your child burn energy before you board. Have her help push a small suitcase to the next gate, depending on her age, or bring her walking shoes and let her explore while you wait. Number 8 – Did we just arrive at the North Pole? Be prepared for the airplane and airport temperatures. It’s simple advice, but children dressed comfortably for the weather and surroundings will be happier in a new environment. Airplanes can be cold, especially the floor so pack a sweater or a jacket and a pair of socks go a long way. Don’t forget the baby wipes! They’re useful for washing hands, cleaning toilet seats, and wiping down just about everything your child is going to put her hands on. In the same spirit, little bottles of hand cleanser can be a lifesaver in some countries, but check the travel regulations for liquids well in advance. Consider delays when packing. If you are stuck in the airport for an additional 6 hours, do you have enough supplies to last? Number 6 – Is that food… or worse on your pants? Remember to pack extra clothes for both of you. Spit ups, accidents, and spills happen. On a recent flight, Athena’s wet diaper leaked through her pants and onto mine as well. In the preparation of it all, I forget to pack anything extra for me to wear so I had to smell like I peed myself for five more hours before arriving at our final destination. Be prepared! Number 5 – Did you eat today? Remember to pack enough food to get your through delays. Snacks are excellent for distracting your child during take off and landing and they help with the continued chewing motion that decrease ear problems. Create snack bags that can easily be reached and passed to your child during the flight. Don’t forget to pack enough to get you through one full day in case there are delays. Number 4 – Did you just turn into a monster? Consider your child’s schedule when booking a flight. Naps are important during the day at this age. If you consider your child’s sleep and eating schedule, it will deter meltdowns. Number 3 – Aren’t you going to carry me to all the gates? Gate check your stroller. If you are taking a stroller, gate check it. This will allow your toddler to sit in the stroller as you make your way through the airport and wait for your flight. Sometimes connecting flights can be far apart. It’s helpful to have the stroller for the child and to put bags in the carrier below. Number 2 – Can’t I walk there, Mommy? Bring a carrier! Sometimes the stroller just doesn’t cut it. Athena wants to be in my arms and carrying her leaves me exhausted with no way to carry anything else or even push a carry-on suitcase. A carrier eliminates all of these worries and she feels comfortable and calm with little effort from me. Just remember to keep your cool no matter what situation or scenario happens! Travel can be stressful with or without a baby but losing your cool isn’t going to benefit anyone. You will get there and it will be great! This entry was posted in Family, Family Travel and tagged Babies, Baby, bucket list, Bucket List Publications, bucketlist, family-travel, Lesley Carter, photography, travel, vacation by lesleycarter. Bookmark the permalink. 😀 Lezzzz….you make me want to have a child just to try your advice! You’re a good mom. Great advice! And … many of these tips are helpful for adults as well! I’d also add…get plenty of rest the night before your trip! You’ll need all the energy. Even for an adult, I always bring diaper wipes. They come in so handy. Great tips! What a face she has on her! She’s growing so fast! And she’s getting cuter! Great advice for traveling – with or with out children. My toddler and I have flown solo 5 times between Detroit and Orlando over the past year. I’ve tried all different flight times, he has NEVER slept on a plane, too much to look at I presume. We’ve followed all of the advice we’ve ever been given, toys, candy, DVD’s, apps, books, crayons with paper, snacks, none of it lasted long. The biggest tip that helped us get through the two and a half hour flights was allowing him to play in the bathroom. We would squeeze in there 2-4 times each flight for at least ten minutes. I would let him play in the sink, with the soap, pull tissues and toilet covers from the box and make funny faces in the mirror. I would clean up the mess and sanitize us both of course before we returned to our seats, but he was able to get his silly’s out and refrain a little easier from kicking the seat in front of us or running down the aisle repetitively. This will be very useful when we take our first flight with 2 littlies this yeae. We are doing a trip to Florida (from London) this summer with our 4 year old. I can just about imagine it being doable now (movies!!!) but a year or two ago (oh lord, no!) I would have been terrified. Great tips! Bring a few toys that have never been seen before! you have got this RIGHT! After a few years of working as a flight attendant, I’ve always been sure to suggest to parents with young children to give them a bottle, pacifier, something to drink, or chewing gum while the plane is descending. This helps them relieve the pressure in their ears. Landing is usually the time when you’ll start hearing young children start going off like car alarms because they don’t understand what’s going on in their heads and don’t know how to clear their ears. I’ll put something together, but a lot of these suggestions apply for an infant. 2. Bring the stroller with a car seat. 3. Utilize the bathrooms at the airport as much as possible. The airplane bathrooms are small and difficult to move with the changing table down. 4. Try feeding the baby during take off and landing. 5. Talk to the flight attendants. 6. Bring a change of clothes on the plane. Great timing, Lesley, I posted it on FB for my daughter and other friends right away. She is worried about her flight next week, and the advices are definitely helpful! I’ve never flown with a child, so if I ever have to, I’ll keep that in mind! Thanks! Good advice. We used to hang diaper bags and carry on bags on the back of those umbrella stollers (?) The ones that folded up nice and small. Nothing like careening through an airport with your poor child in one of those strollers to get to a far off terminal for your connecting flight. Great tips! Thank you for sharing your expertise about this. You covered every scenario, it looks like! Great post. What an adorable face, she’s such a cutey! Pretty cool, I was actually working on a similar blog post but I think I may just link to you now when I get there :). – pack enough back up clothing and nappies but not too much. Pack so that you can easily carry it all if need to be. – I have never packed heaps of toys. Instead I have packed things we can do together on the plane (well, works from approx 1,5 years), and tried 😉 to see it as an opportunity to spend quality time together (needless to say, that there is no need to take any own books).E.g. sticker books/ tasks, paper dolls, puzzles. Last time we decorated a hair band with my 3 yo. 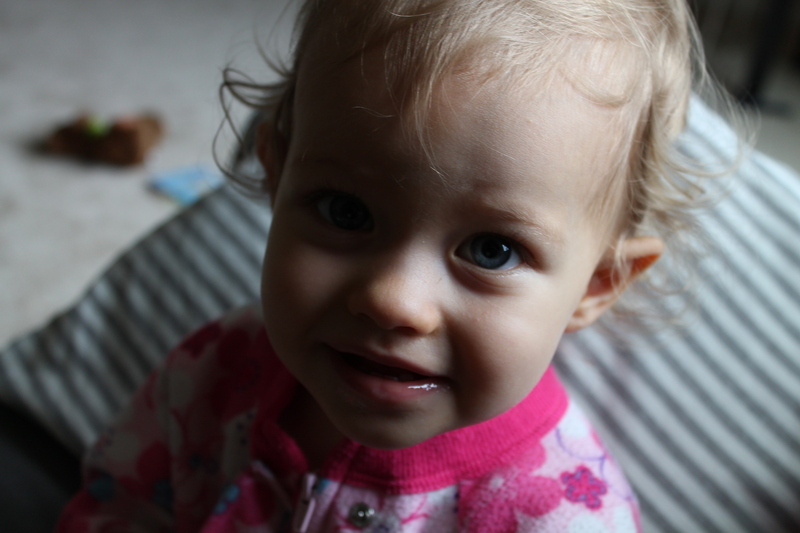 I would also suggest taking a quick picture of your little one(s) once they are all ready to go. Then if the worst happens and you get separated, you have an up to date pic complete with the clothes they’re wearing. I do it whenever we travel, and at theme parks etc. EXCELLENT advice. Current picture in the clothes they are actually wearing. Keeps you mindful, gives everyone something to do. Once your memory starts going, getting a picture of your spouse or significant other may not be a bad idea either!!! Athena is so adorable!! Great tips. My daughter flew with her two daughters from Florida to Germany -alone! This was four years ago, she had a baby under one an had to purchase special individual type bottles of formula for the flight, If you are bottle feeding you might want to check out the ever changing rules on liquids. I find your blog post to be very informative/helpful and enjoyable. Great post and terrific tips for parents, Lesley. Athena is adorable! I am constantly amazed when I see parents empty-handed with their young kids on the plane. One of my frequent flier friends started carrying finger puppets to give out to antsy kids! oh how I remember those days…. This is really logical advice. Glad I don’t need to worry about transporting / flying with children though. I tend to fall asleep at the wrong times. I’m sure this is a most helpful list to other moms. These are all great tips. I just remember there was nothing anybody could do for my sister and me when the flight entered the descent. The pressure change hurt our ears pretty badly and we would always be crying and screaming. Chewing gum, drinking water, the napkins in the cup trick (or something similar, my memory is hazy but a flight attendant tried this and gave it to my mom for me but it did diddly squat for me, I just kept crying!). All babies are different, but I’ve noticed a lot of babies start crying when the flight starts descending and I’ve always empathized because it is still painful for me to this day! I just have small Eustachian tubes I guess. Great advice. On #9, I’d add “spend time outside before the flight if at all possible”. Nothing will get a kid in the mood for sleeping on a long flight that a good, long visit to the beach, park, playground, zoo, whatever. I while ago I did a Lima, Peru to Amsterdam, Netherlands flight with the kids (that’s a 13h flight). I booked a 9pm flight out of Lima, and we spent the day in the big city park, going to the zoo, eating south-american food in big tents, spending lots of time at the playground, etc. The small one ended up sleeping 12 of the 13 hours we were on flight. I´m glad to see that I´m not the only person to have an accident as in no. 6. I forgot to change my toddler between flights and ugh! Good blog. And to make it worse, the teenage girls behind me kept saying, “It sticks here.” “Something smells.” “I smell pee.” I was thinking… enough already. I get it! Ziplock bags are our biggest friends….Those diaper blowouts….the random vomiting…the snippy passenger you have to strangle… So many uses. As a mom of twins that has traveled with them since they were 10 months old, this is excellent advice. Unfortunately, FAA regs. to did not allow for me to fly solo with them until they were 2 years old. Something to keep in mind for moms of multiples. Also, if you can afford it, I highly suggest booking a seat for you child even when they are still lap child age. Great practical and sensible advice, your daughter is very fortunate to call you her Mom! Fruit leather, turkey jerkey or beef jerkey (NOT spicy), even gummi bears, something to encourage chewing, for the climb after takeoff and the descent before landing. Out little one loved turkey jerkey, we never flew without it. Chewing uncovers the mouth-end of the little passages which allow pressure inside and outside the ear drum to be equalized. It can hurt if one doesn’t get it equalized. If you can instruct the child to yawn, so much the better. When they’re pre-verbal its best to have something to offer. Before its an issue. For certain children with very long attention spans, pack extra picture books, story books, in your *CARRY ON* luggage. Its no good to you if its checked! On our very first flight, < 1 year old, someone wanted to be shown the entire in-flight magazine, then the Sky Shopping or whatever it was, catalog. That was on the outbound leg. I only had about 10 pages of the catalog left when we touched down. 15 years later I still remember this part of the trip… I had plenty of books for subsequent flights! Athena is one lucky girl, not just to have the chance to travel with you, but the fact you know exactly how to care for her. I sent this to my son and posted to FB. They will be traveling to Spain with their six-month-old son. Not a toddler yet, but still could be a challenge. Doesn’t look like it’s held you back. Too good. I’m passing this on to friends with infants… as mine are at a different age now. Hee Hee… Very well written.